What do you do if you want to add a subject to an asset, but the subject is not available in the dropdown list? 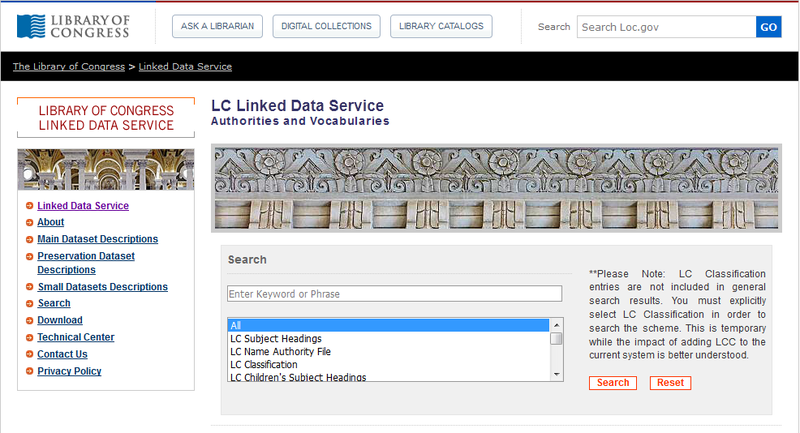 First, find the subject in the Library of Congress Linked Data Service. Keep the window open so that you can copy and paste data from the Library of Congress data record into Entermedia. 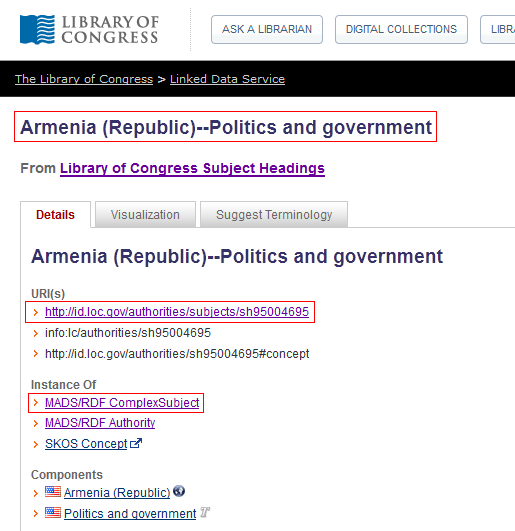 If you can't find a suitable subject in the Library of Congress Linked Data Service, talk to the Digital Asset Manager. 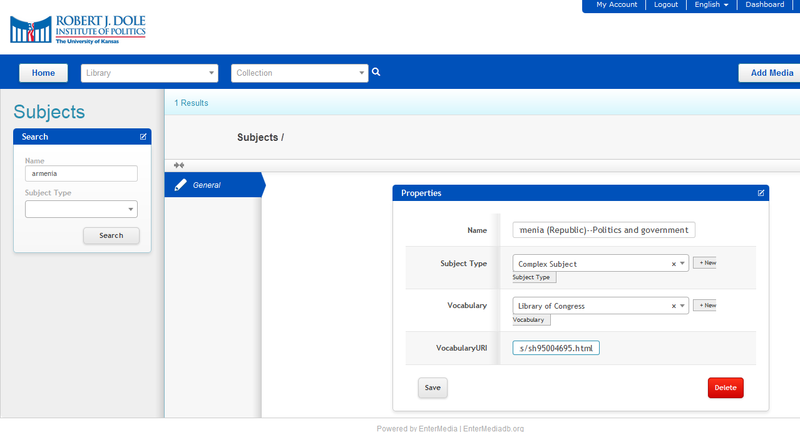 Next, add a subject to the Subjects module. First, go to the upper right corner of the Entermedia window. Look for the word Asset with a little triangle next to it. Click on it. In the dropdown list that pops up, click on Subjects. The Subjects module appears. Click Add New. Click Save after you have finished entering data in all fields. What can I find in Entermedia? Most files in Entermedia are DIOP event photos, videos, and transcripts dating from 2001 to the present. Thousands of digital photographs, documents, audio and video files from the Dole Archives Collections (everything in Archon and more) are also included. 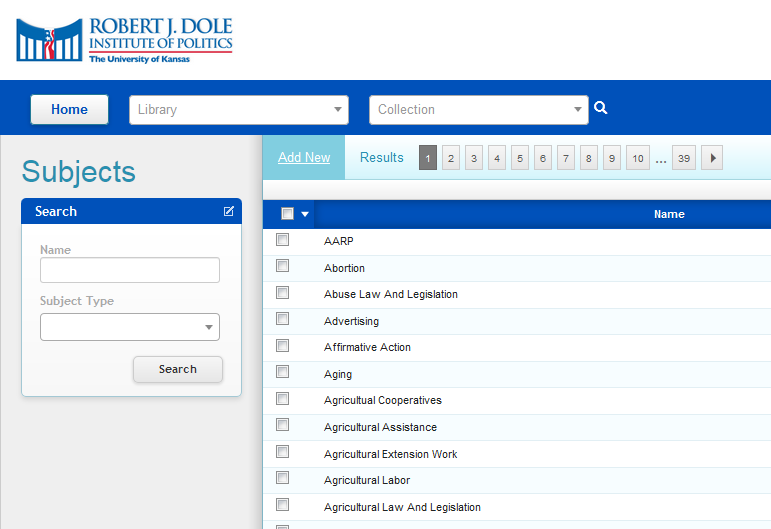 Additionally, all media from the DIOP and Dole Archives websites is available in Entermedia. What can I use Entermedia for? You can use Entermedia to find photographs and other archival materials for outreach, promotions and internal reference. Please note that while many images are in the public domain, many photographs are still under copyright. Additionally, Senator Dole has not granted the DIOP rights to his photos. Usage rights must be cleared through his staff. Please contact Archives Staff for assistance. How do I find what I’m looking for in Entermedia? Please see the section titled Searching in the Entermedia Guide following this FAQ. 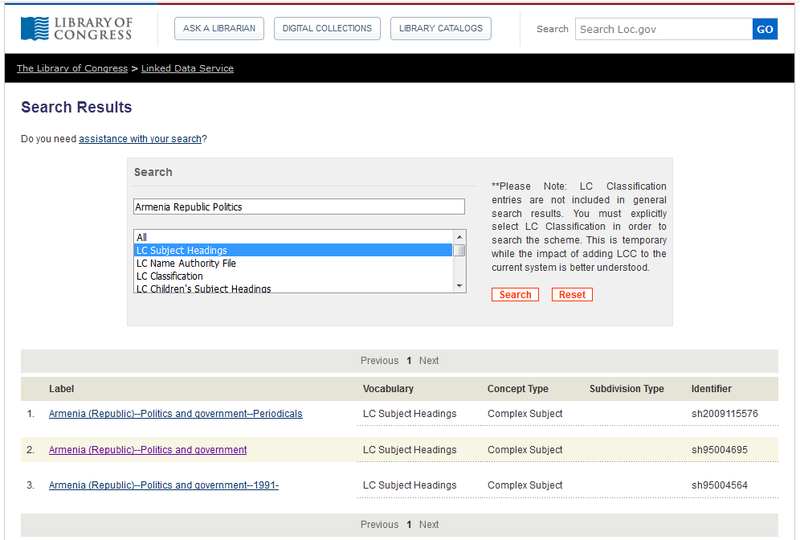 Full-text searching of documents is available. Please note that searching is only as good as the data available for each item. I can identify a person in a photo. How do I add the name to the photo description? If there are descriptions, keywords/tags, or people you’d like to add to an item, or if you would like to suggest corrections, please contact the Digital Asset Manager: Megan Macken, mmacken@ku.edu or 4-1402. How do I share Entermedia items with people at KU? Please see the section titled Sharing Files at KU in the Entermedia Guide following this FAQ. Please note that while many images are in the public domain, many photographs are still under copyright. Additionally, Senator Dole has not granted the DIOP rights to his photos. Usage rights must be cleared through his staff. Please contact Archives Staff for assistance. How do I share Entermedia items with people outside KU? Please see the section titled Sharing Files outside KU in the Entermedia Guide following this FAQ. Please note that while many images are in the public domain, many photographs are still under copyright. Additionally, Senator Dole has not granted the DIOP rights to his photos. Usage rights must be cleared through his staff. Please contact Archives Staff for assistance. I have a lot of photos and files on my computer, how can I add these to Entermedia? All files in Entermedia have been accessioned into the DIOP Archives and, as records, are generally no longer working files. Please contact the Digital Asset Manager to discuss archiving your digital records: Megan Macken, mmacken@ku.edu or 4-1402.
Who do I ask if I have questions or technical difficulties? Please direct all questions about Entermedia to the Digital Asset Manager: Megan Macken, mmacken@ku.edu or 4-1402.